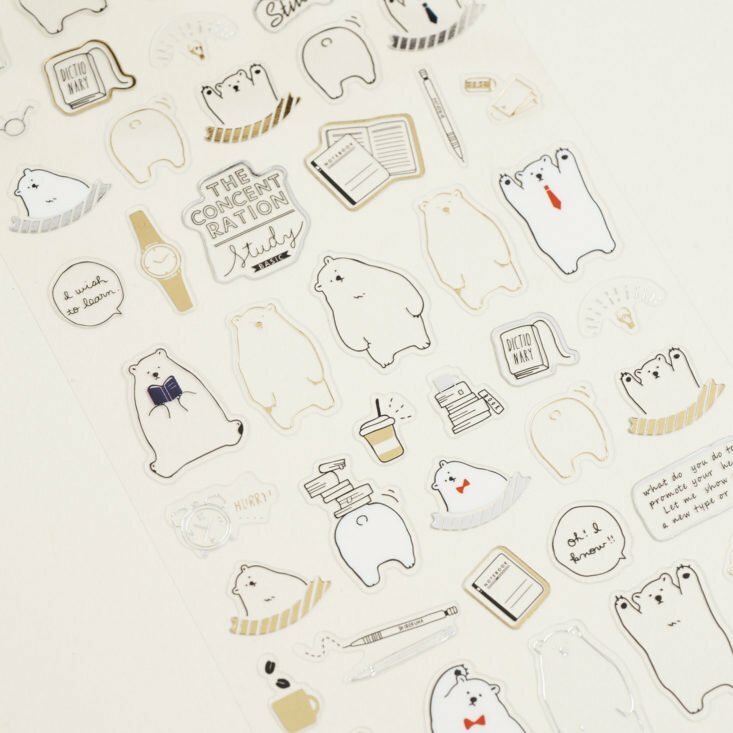 Pipsticks has a few different sticker subscriptions, including ones tailored to kids (check out Jessica’s reviews here!). This review is for their Pro Club Petite subscription, which is the smaller option for grown-ups (a.k.a. sticker “Pros”). This review is of the Pro Club Petite (for Grown-Ups), $9.95 a month, box. The Cost: $9.95/mo + free U.S. shipping. LIMITED TIME DEAL: Use coupon code INSTAXPRO25 to save 25% off your first month of the Pipsticks Classic subscription only. Or, use coupon code INSTAXKIDS25 to save 25% off your first month of PipSticks Kid’s Club subscription only! Ships to: U.S. for free and internationally for $3.00. Good to know: Pipsticks has other subscriptions as well: Kids Club Classic ($14.95 per month), Kids Club Petite ($9.95 per month), and Pro Club Classic ($14.95 per month). Pipsticks usually comes with a cool zine with each sticker shipment, but there was a printing mishap and it didn’t get made this month! There is still a letter from the founder, Mo, excitedly talking about the new planners that are available for pre-sale on the site and you can download the missing issue of Pippy on their blog. This month has an astrology theme so buckle up for lots of far-out stickers! Pipsticks’ postcard this month features super adorbs shooting star. I am loving these delicate plastic gold foil stickers that make up several constellations along with planets, stars, and astrological signs. Perfect for adorning birthday cards for friends who like to read their horoscope each month. Eeeek! I love kitties more than life, so I’m always stoked to see felines in the mix. 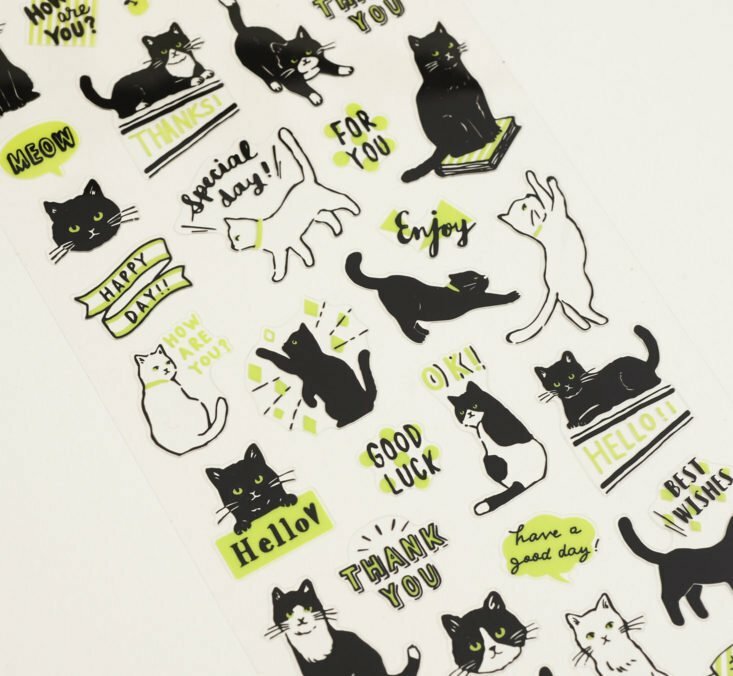 These cats remind me of my boys (I have a black cat and a tabby) and are accompanied by lime green messages like “how are you?”, “good luck” and “best wishes” among others. These itsy bitsy stickers are all about space. They’re wildly colorful and metallic so they shimmer like the stars! You’ll find stout little astronauts, rocket ships, stars, planets, and even ~aliens~! These are great for decorating planners since they’re so small! There is something so pleasing about these simple illustrated bears wearing ties and studying for what seems to be an important exam. There are watches, pencils, notebooks, books, and coffee all helping it out to make sure he gets a good grade! Similar to the metallic space stickers, this sheet is full of planets, shooting stars, and rocket ships, but in soft pastel colors and gold foil. They’re a little bit larger and are paper instead of plastic but bring just as much joy. I’m a total sucker for geometric shapes, especially in metallic gold! These are super minimal and clean and make me feel very calm. There’s definitely a space-like quality to them so I understand their place in this pack. 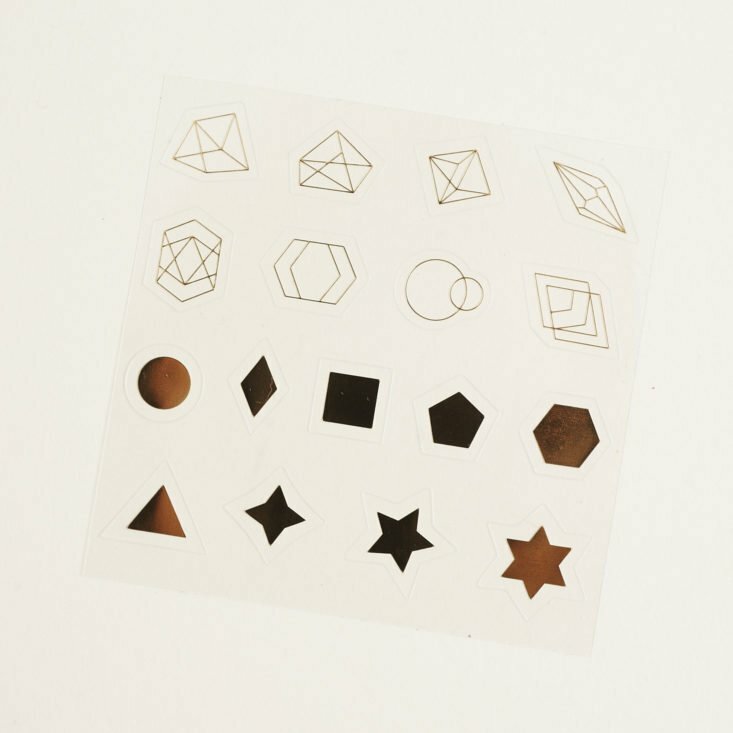 This little sheet, designed in-house by Pipsticks reminds me of the ones I collected as a kid. The silver holographic material make them extra-special! Enjoy the rainbow they display as you move them in the light. This month’s prize is PINK TYPEWRITER! How cool is that? I used to collect them until I ran out of space, but I know that vintage pink typewriters are very sought after. Verdict: This month’s Pipsticks Pro Club Petite hooked me up with seven glorious and mostly space-themed sticker sheets, plus a postcard. I love opening this subscription each month since it brings me so much joy. I loved stickers as a kid and love having a sticker club as an adult! Can you still get this box if you sign up today? Nope, looks like you’ll get April if you subscribe today! Billing between the 1st and the 14th? Your shipment will be mailed 3 business days after the 14th. Billing between the 15th and the 31st? Your shipment will be mailed 3 business days after the last day of the month. Coupon – Use code OMG10 to save 10% off! Or, for a limited time, use coupon code INSTAXPRO25 to save 25% off your first month of the Pipsticks Classic subscription. Or use code OMG10 to save 10% off! Value Breakdown: At $9.95 for this pack, I paid about $1.24 per item. Check out all of our Pipsticks reviews and the Craft + DIY Subscription Box Directory! What is your favorite sticker from Pipsticks Pro Club Petite this month? I love stickers…use them mostly for mailing out letters and cards. New Year’s resolution…to send more personal notes out…hmmmm, I’m lagging a bit but a new sticker stash usually inspires me…..this looks like a fun box.